The Woonasquatucket River was once a center of economic activity and employment adjacent to downtown filled with historic mill buildings. Although many have been demolished leaving vacant sites, the district is still home to industry, fabricators and artists. Working with Principle Group, Urban Advisors helped shape a plan for the district by providing economic analysis and pro-forma analysis of development scenarios to “Maker Lofts” evaluate public costs and benefits. A primary concern of stakeholders was preserving affordable working space. 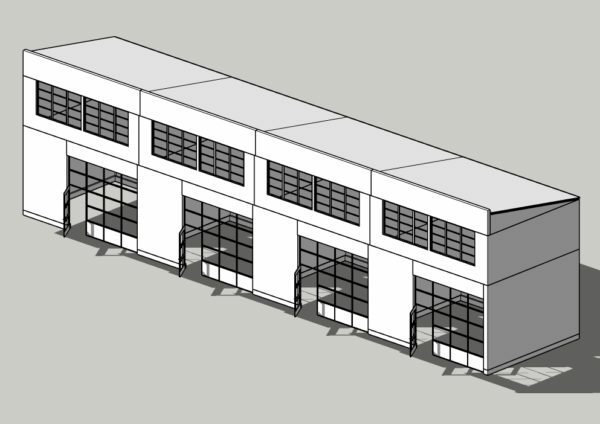 One of the design and development solutions for a building typology in the neighborhood was “Maker Boxes”: inexpensive concrete sheds for artists and fabricators to incubate their businesses. The evaluation of potential catalyst sites helped shape priorities for the City and provided a framework for evaluating public investments.